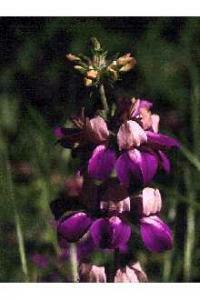 Collinsia - Annual flowers mainly of N.W. America. Some of real value for gardens, and often enduring our winters, so admitting of autumn sowing, which gives a better bloom, and frequently also sown in spring. Chinese Houses (Collinsia Bicolor) - A beautiful and free-growing annual of very good effect in the spring. Often sows itself in free soil, and sown in September in any spare bed blooms finely in May. Chintz Flower (Collinsia Grandiflora) - A quite distinct kind, it gives a very pretty purplish effect, and endures our winters well, thriving from autumn-sown seeds, and often coming self-sown. 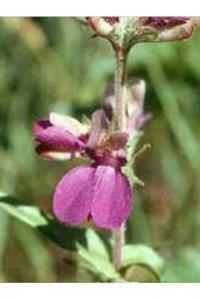 Collinsia Verna - Vernal C.)-A beautiful kind, native of the colder parts of N. America. Not much in cultivation with us. In my own garden we repeatedly failed to raise it, but still hope on and blame the seeds. 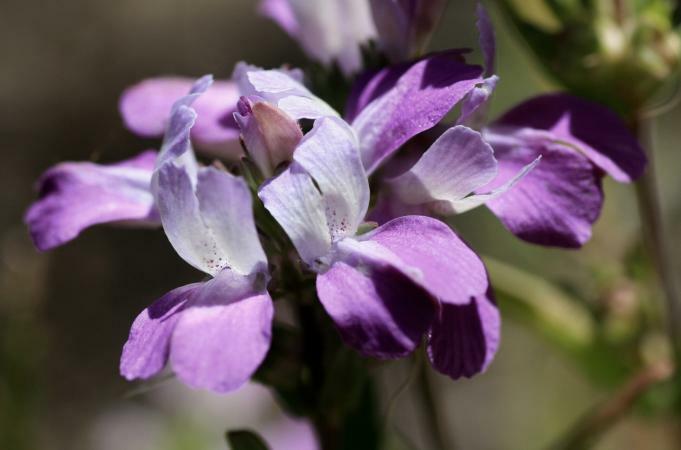 Baby Blue Eyes (Collinsia Insignis) - A beautiful flower easily grown, usually sown in the spring or, often better, in warm and southern districts in September, if good seed can be had then. 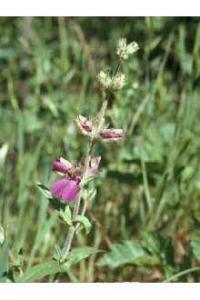 To make sure of early sowing, it is well to save some of the seeds, as the stocks may not be ready. Sow on Rose or other open beds; thinly set out. Collinsia Maculata - A spotted kind, distinct and beautiful. Grown easily from autumn-sown seeds, and also seed sown in the spring. It is excellent for carpeting beds and for edgings. Seeds of all kinds are easily raised.